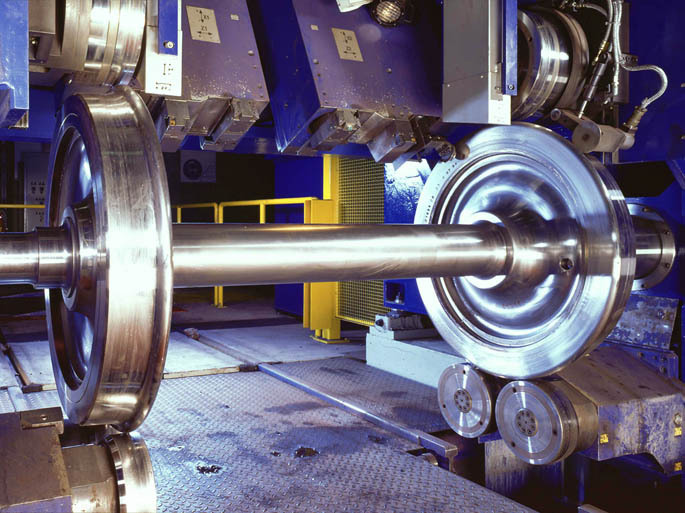 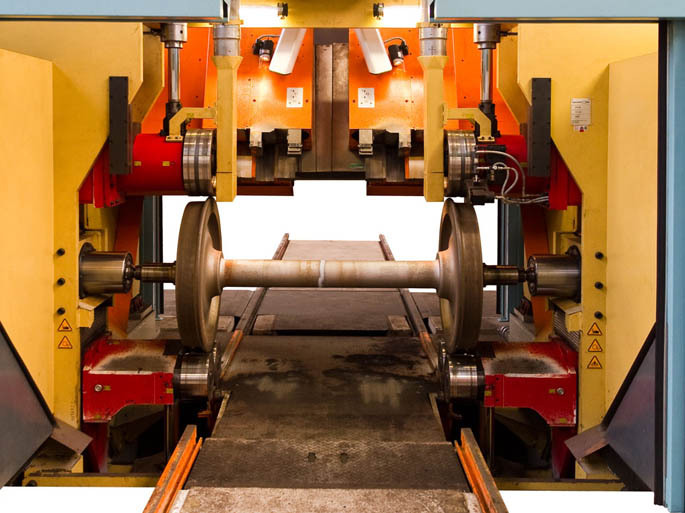 The wheelset lathe type PN 190 was designed as a high-performance wheelset lathe with a friction roller drive for medium to heavy machining in workshops with railbound wheelset transportation. 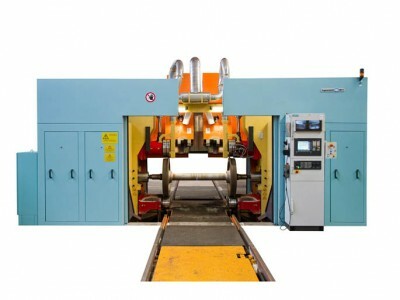 For this type of deployment the base, the machine stand, has a portal-shape design and bridges the feeding track. 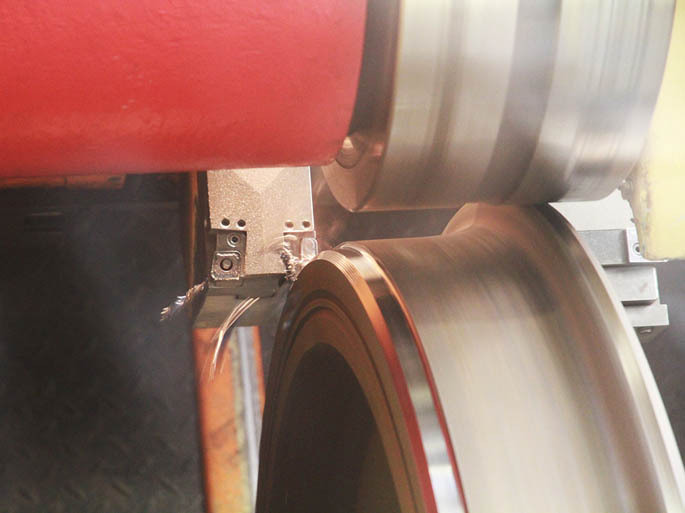 On the machine stand, the two CNC-controlled rotary tool posts with an integrated profile wear and diameter measuring device are arranged overhead and, in an ideal manner, allow unobstructed machine loading and unloading in roll through operation for continuous wheelset machining. 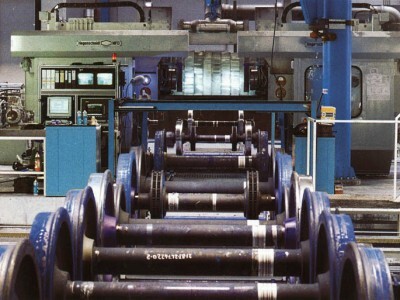 Feeding is also possible in the rolling in and out operation. 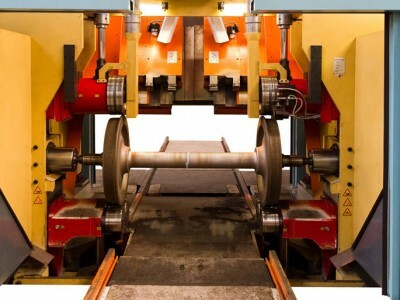 In addition to turning the profile for wheelsets that have already been run and/or new wheelsets, the wheel discs can be face machined both on the outside and the inside. Machining brake discs is also possible along with other special machining operations. The friction roller drive in the PN 190 prevents practically all driver or clamping marks and thus contributes to greater safety, particularly for the wheelsets on high-speed trains.